San Antonio, TX – A group of students from The Culinary Institute of America (CIA) campus in Hyde Park, NY is preparing to spend the first semester of senior year at the college's campus in San Antonio, focusing on the ingredients, techniques, and cultural traditions of Latin American cuisines. It is part of the CIA's Latin Cuisines Concentration, which launches on May 5—Cinco de Mayo. The students, pursuing bachelor's degrees in culinary arts management from the CIA, will study the foods of Mexico and other Latin American cuisines that are ripe for broader exposure in the United States, including those of Brazil, Peru, Central America, and the Caribbean. 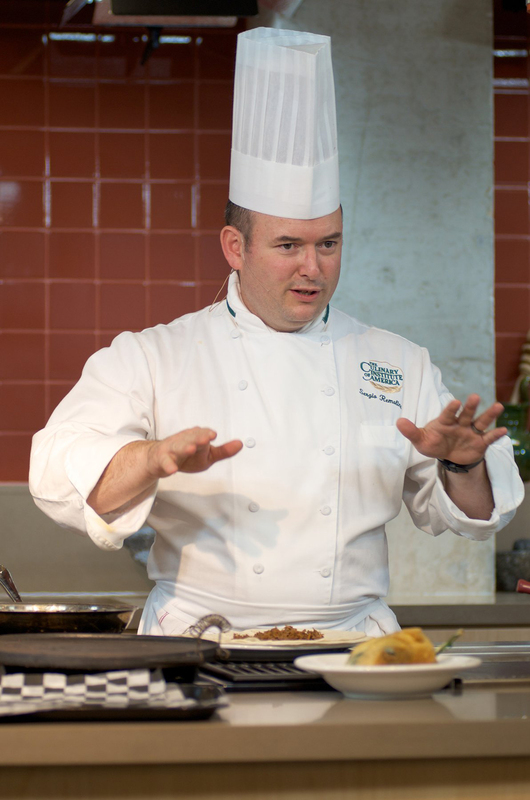 They will explore the nuances of flavor development and culinary expression of these cuisines, while learning from expert faculty and visiting instructors, such as award-wining chef Rick Bayless, all under the direction of CIA Chef Sergio Remolina. Students also will be immersed in the history and cultures of these nations and regions. For instance, they will learn that Cinco de Mayo is not the "Mexican Fourth of July," but rather the commemoration of an 1862 military victory. According to Chef Remolina, only in recent years has it turned into a day of celebration in the United States. The Latin Cuisines Concentration gives students in-depth knowledge and a valuable specialization in some of the world's most exciting cuisines. Latin meals account for an estimated one-third of all ethnic restaurant sales in the United States. And, the students will be gaining this in-depth knowledge while spending 15 weeks in San Antonio—the gateway to Latin America. During the semester, students will present several special dinners that will be open to the public. Chef Remolina comes to San Antonio to head the program after six years as an assistant professor at the Hyde Park campus, where he was the opening executive chef of the CIA's Bocuse Restaurant and taught Cuisines of the Americas. A former executive chef at the Mexican Embassy in Paris, Chef Remolina was also executive chef and owner of restaurants in Mexico City and Cuidad Juarez. The CIA's Latin Cuisines program joins existing beverage management and farm-to-table cooking held at the college's Greystone campus in California's Napa Valley.